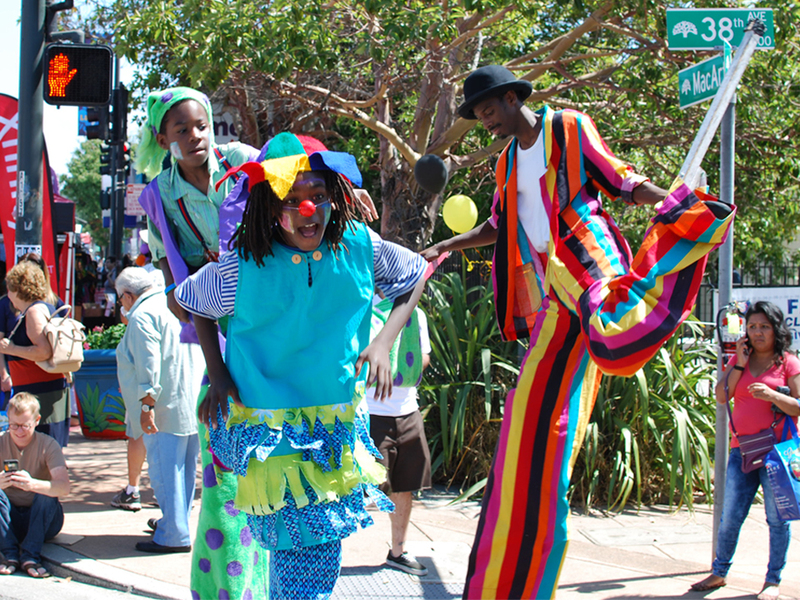 Around 100 Oakland youth will show off their circus skills in a talent showcase tomorrow at Oakland Technical High School. 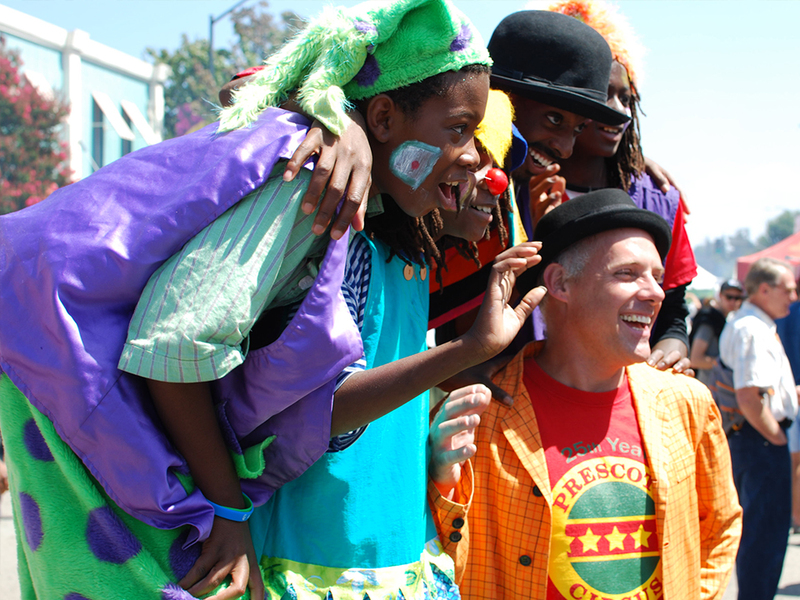 The performers are participants in the Prescott Circus Theatre--an after-school program that started at West Oakland's Prescott Elementary School more than 30 years ago and has grown to seven other schools in Oakland. 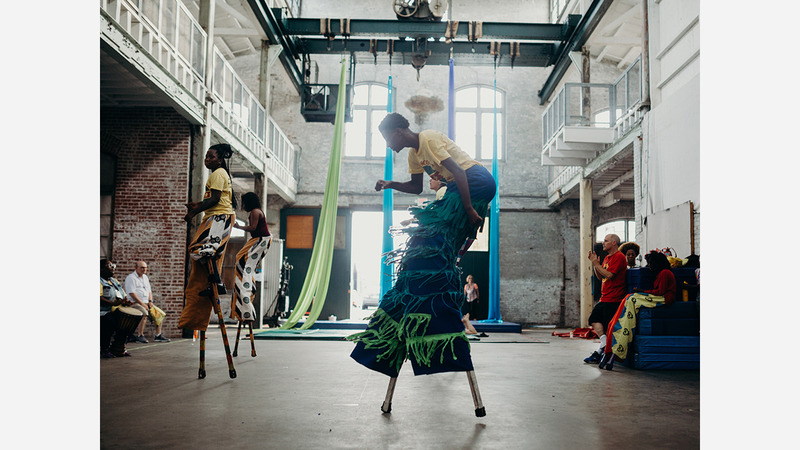 The curriculum at Prescott Circus covers a wide range of performance arts, from typical circus fare like juggling and stilt dancing to hip-hop dance and hambone body percussion, a dance form invented by African slaves in the US. Last year,the students traveled to the American Youth Circus Festival in New Jersey, where they led a workshop on hambone. Prescott also participated in a nine-month study last year along with seven other circus organizations nationwide. It was commissioned by the American Youth Circus Organization and conducted by the David P. Weikart Center for Youth Program Effectiveness. Results of the study released in December found that circus arts programs were beneficial for students' social and emotional learning. Weikart Center chief knowledge officer Charles Smith said the findings were unambiguous. "Our center has been working for several years on establishing a benchmark for exemplary programs in building social and emotional skills and it's particularly gratifying to have uncovered a set of programs that are generally performing at this high standard," he said. Ana Flores, a former Prescott Circus Theatre student who is now associate county counsel for Alameda County, said that after she immigrated to West Oakland from El Salvador, she learned English in order to perform with Prescott Circus Theatre. "Without Prescott Circus Theatre, I would have been more lost," she said. "The Prescott Circus taught me leadership, public speaking, and confidence, and showed me that the world was full of endless opportunities." 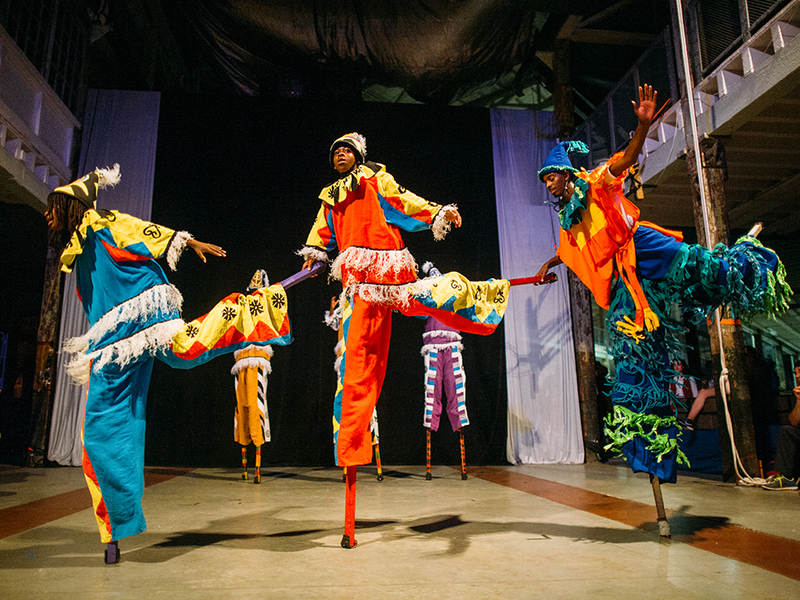 Saturday's show, called UpLIFT!, is inspired by the exhibit EN MAS': Carnival and Performance Art of the Caribbean, which is on display at the Museum of the African Diaspora in San Francisco. It will feature performers from each of the eight schools where Prescott Circus does after-school programs. More than 200 students between the ages of eight and twelve enroll in the programs each year. In addition to Prescott, there are programs at Lafayette Elementary School, Laurel Elementary School, Manzanita Community School, Manzanita SEED Elementary School, Parker Elementary School, Piedmont Avenue Elementary School and Sankofa Academy. Music will be provided by theOakland Spirit Orchestra, a 30-piece band featuring students from eight Oakland public schools. There are two shows planned in the Oakland Technical High School auditorium on Saturday, at 11am and 1:30pm. Admission is free.